A truly wonderful ca. 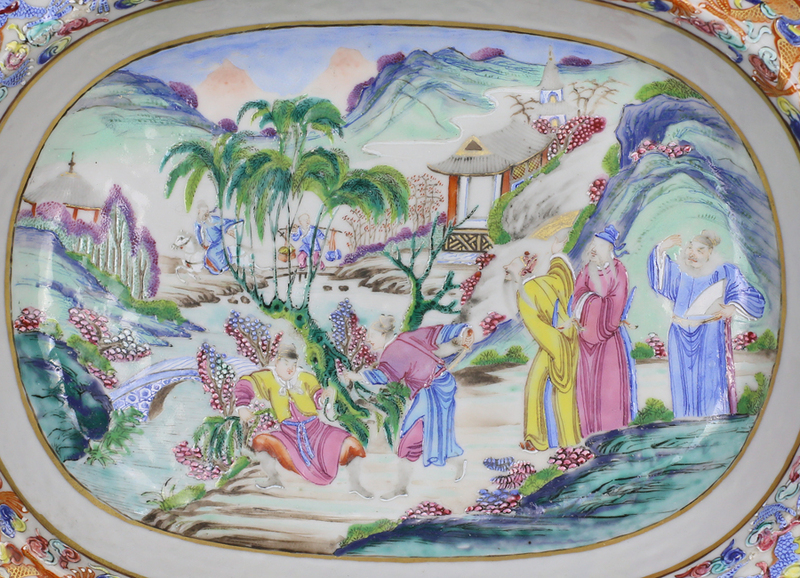 1790 – 1810 Qianlong – Jiaqing period Canton enameled deep platter dish, decorated with thick, pastel famille rose enamels with a landscape scene depicting five figures in poses of confrontation, with a man and his servant fleeing by horse in the background. 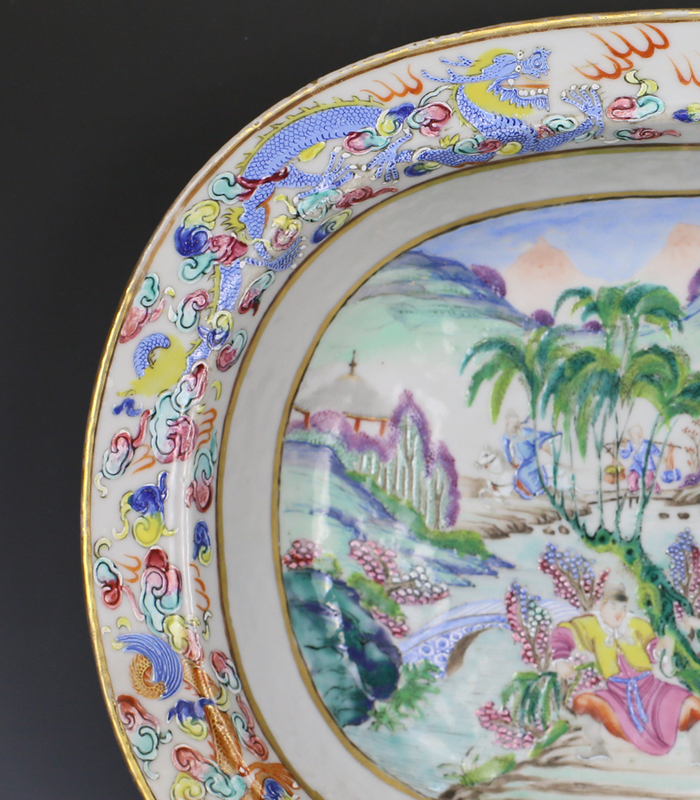 The rim is decorated with curious five-clawed dragons. 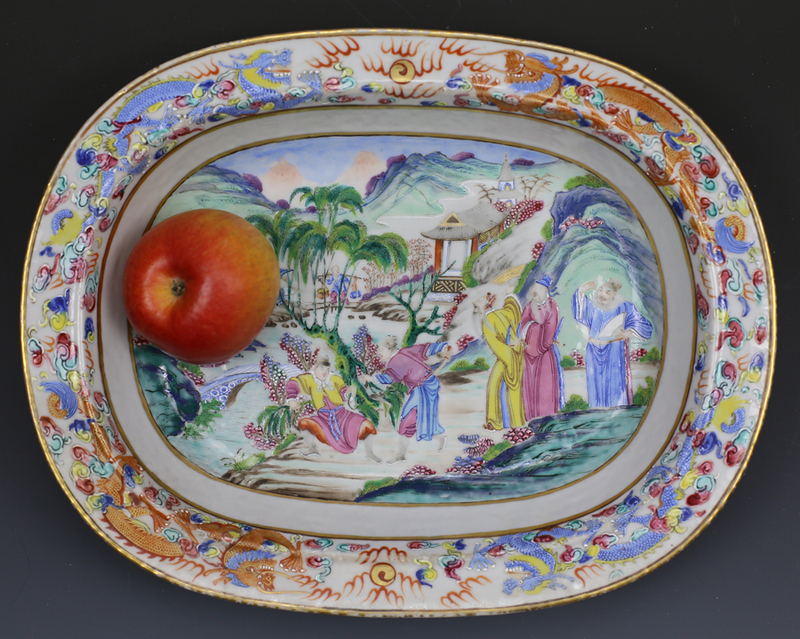 This is a rare example of early Canton enameled ware, when there was such a demand for export porcelain that blank porcelain bodies from Jingdezhen were regularly sent down to Canton to be decorated locally. 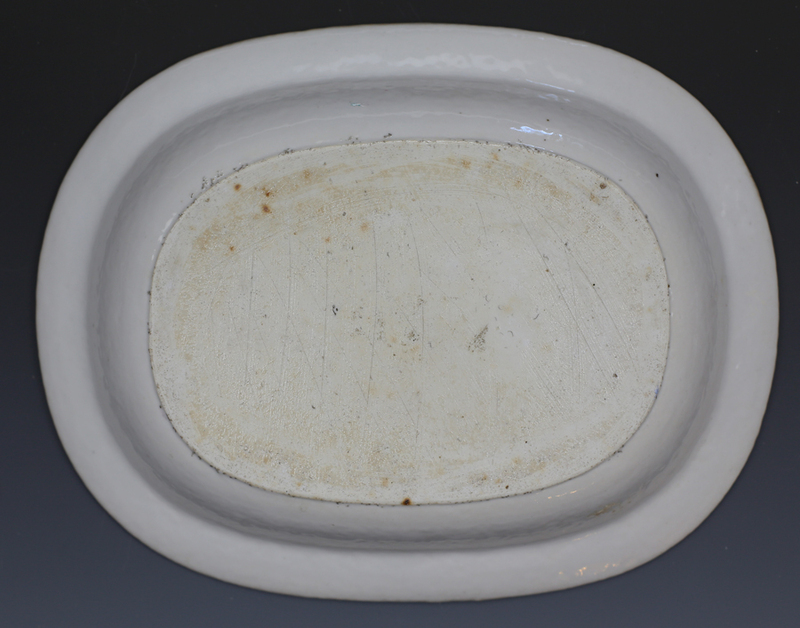 Later canton wares such as medallion rose are however quite poor in quality. 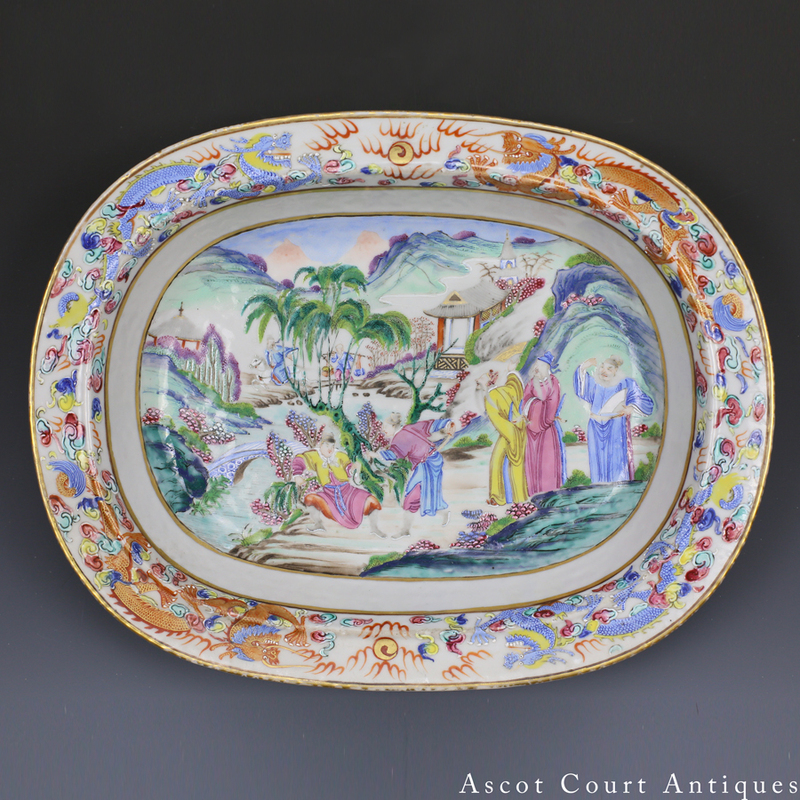 High quality pieces like this platter dish are extremely rare and were made early in the period.